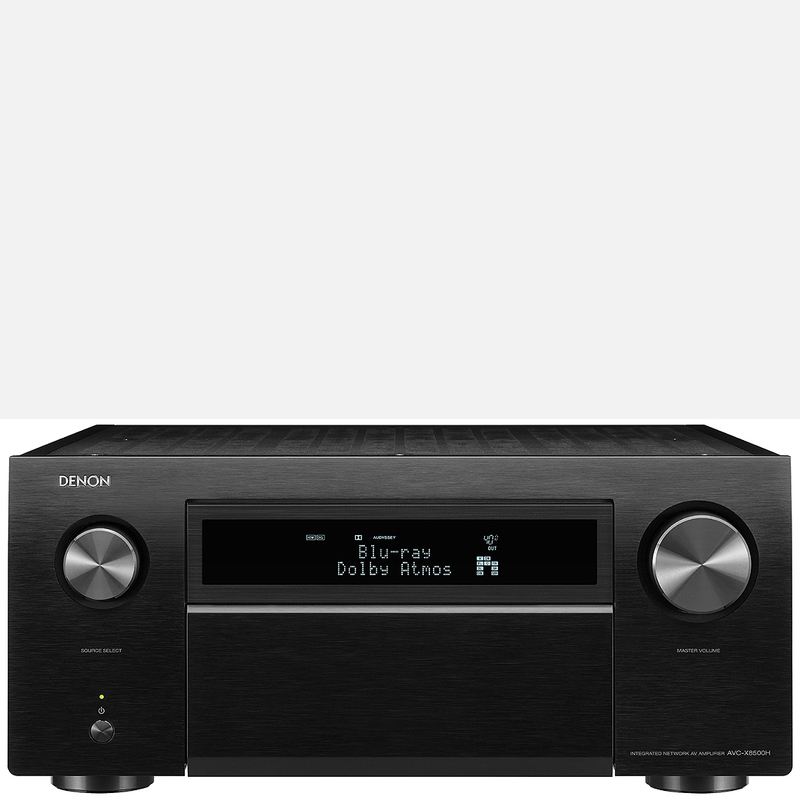 Denon’s all AVR8500 avr is in stock and all orders as from 29th january will come with a free Ruipro fibre optic hybrid HDMI cable valued at £200 (so not rubbish). This is a limited time offer until stocks run out. The Denon AVC-X8500H is the industry’s first true 13.2 channel AV Amplifier. Offering unparalleled sound quality and audio performance, the Denon AVC-X8500H features Dolby Atmos, DTS:X and Auro 3D surround decoding with 13 channels of built-in amplification to enable premium 3D surround sound up to 7.2.6 without external amplification. Adding to our legendary AV receiver line, custom installation offerings, and acknowledging the emergence and evolution of the smart home, the Denon AVC-X8500H brings the future of home theatre to the present day with Amazon Alexa’s Smart Home Skill* for Entertainment Devices, Apple AirPlay™ and whole-house wireless music compatibility. Hand-assembled in small batch form in Japan, the Denon AVC-X8500H 13.2 channel AV Amplifier incorporates custom-made DHCT (Denon High Current Transistors)-discrete monolithic amplifiers rated at 150 watts per channel (@8 ohms, 20 – 20 kHz, THD 0.05%, 2 channel driven), enabling premium surround sound from object-oriented formats, such as Dolby Atmos or DTS:X, without any external amplification. The AVC-X8500H also supports Auro 3D surround sound decoding, up to Auro 13.1 channel, three-layered speaker layout including top and height center channels. Auro-3D will be enabled via future firmware update at no additional charge. Equipped with Amazon’s Alexa Smart Home Skill for Entertainment Devices, users can utter voice commands to a connected Amazon Alexa device to natively control a variety of functions, including power on/off, volume, mute/unmute, music play/pause, external input switching and playback of supported streaming services. The Amazon Alexa feature becomes available in Spring 2018. The Denon AVC-X8500H allows you to yourself in multi-dimensional audio with Dolby Atmos. Enjoy a 7.1.6 or 9.1.4 surround sound speaker system with as many as 6 overhead speakers or Dolby Atmos elevation speakers for the ultimate home theatre experience. All eight HDMI inputs on the Denon AVC-X8500H (including one on the front) and three HDMI outputs feature HDCP 2.2 compatibility and the latest HDMI specifications, including 4K Ultra HD 60Hz video, 4:4:4 Pure Colour sub-sampling, High Dynamic Range (HDR) and 21:9 video, 3D, and BT.2020 pass-through support. The Denon AVC-X8500H is even ready for Enhanced Audio Return Channel (eARC) for 3D audio playback through TV apps. The eARC feature will be enabled via a future firmware update. The Denon AVC-X8500H boasts an advanced video processor to upscale existing lower resolution video from any analog or digital source to true 4K. With three HDMI outputs, you can even connect a TV and a projector in the main room, while playing back different content on a second zone screen. 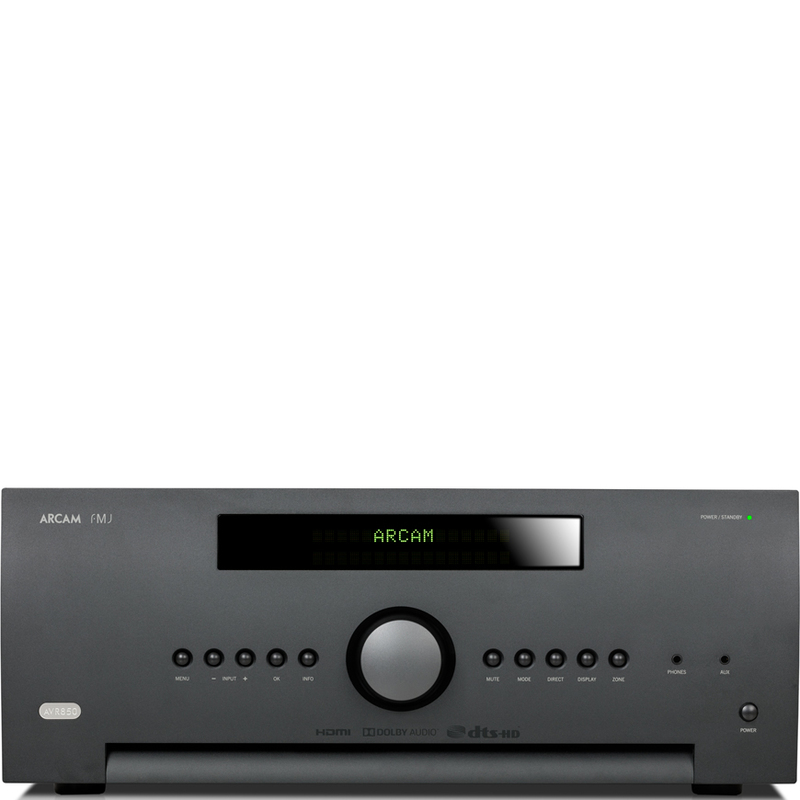 The Denon AVC-X8500H supports High Dynamic Range (HDR) video format. The Denon AVC-X8500H is ready for Dolby Vision and HLG (Hybrid Log Gamma). Dolby Vision transforms the viewing experiences with astonishing brightness, contrast, and colour. HLG offers HDR technology over broadcast content. The Denon AVC-X8500H owns a sophisticated DSP audio processing system that incorporates two latest generation high performance dual core SHARC DSP Griffin Lite. The Denon AVC-X8500H allows you to stream your favourite music from anywhere and everywhere around your home. Share music stored on your home network, streaming services with HEOS wireless speakers or even other HEOS-capable receivers and listen throughout the whole house. Control it all with the free HEOS app. Enjoy music from TuneIn, Internet Radio and a wide range of streaming services including Spotify®, Amazon Prime Music, Soundcloud®, Juke, Tidal, Napster, Deezer or Mood Mix. HEOS technology within the Denon AVC-X8500H allows you to stream your favourite music wirelessly around your home to any other HEOS-enabled device, like HEOS speakers. 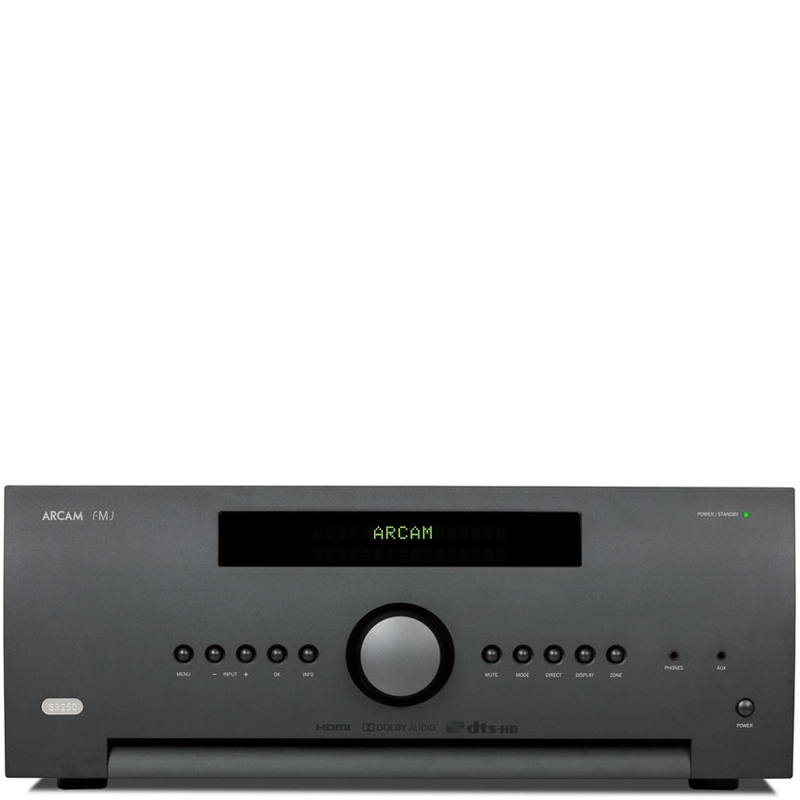 The Denon AVC-X8500H is equipped with feature-rich enhanced control capabilities and compatibility with third-party and custom integration solutions. The Denon AVC-X8500H features IP control capability for an integration with major third-party control devices and Control4 SDDP (Simple Device Detection Protocol) certification for quick and easy integration with Control4 home automation equipment. For direct connection to external home automation and control equipment, it’s also equipped with an RS-232C serial port. For simpler integrated control set-ups, the Denon AVC-X8500H features an IR (infrared) remote control input on the rear panel, allowing remote control compatibility with other components in your home theatre system.